How to create house electrical plan easily seems to be a difficult problem for most electrical engineers, even for experienced engineers. 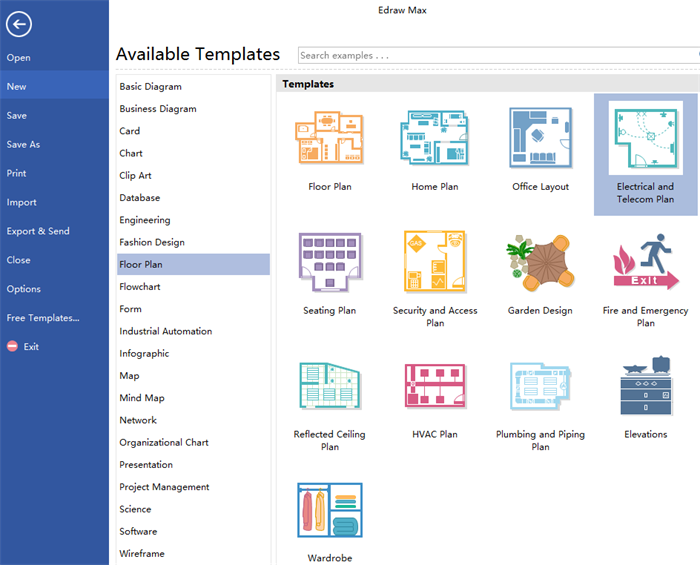 Edraw Floor Plan Maker will be your helper. 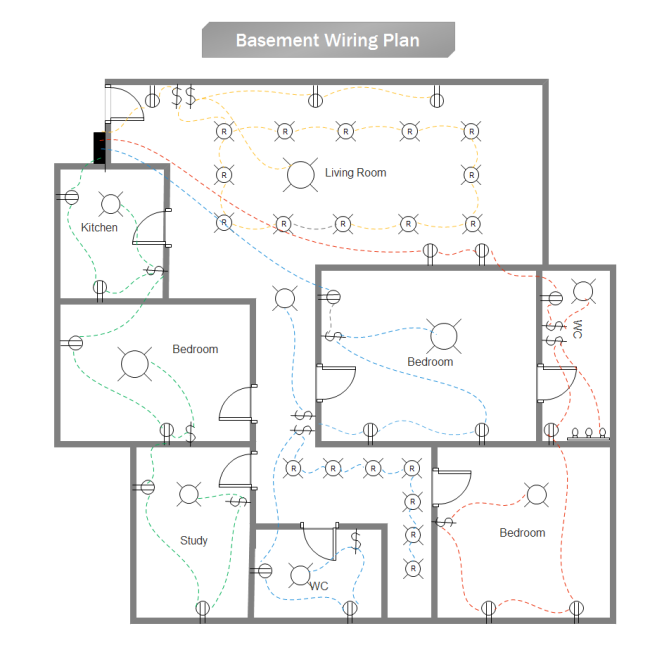 House electrical plan is one of the most critical construction blueprints when building a new house. It shows you how electrical items and wires connect, where the lights, light switches, socket outlets and the appliances locate. Clear house electrical plan enables electrical engineers to install electronics correctly and quickly. 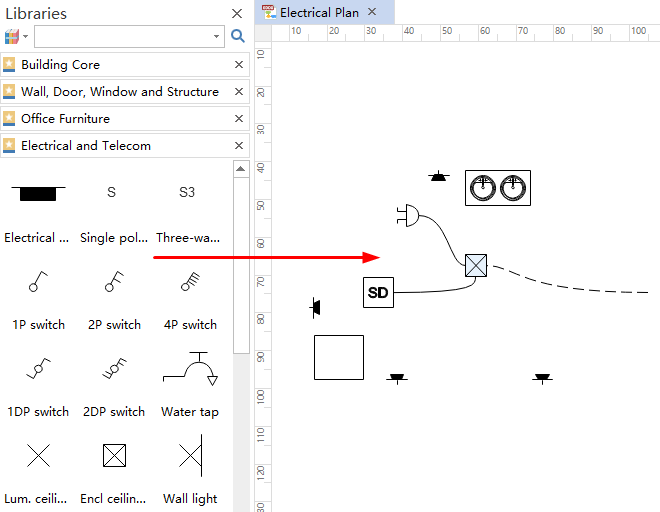 Creating house electrical plan with a professional floor plan maker simplifies a complex process with just a few steps. Step 1. 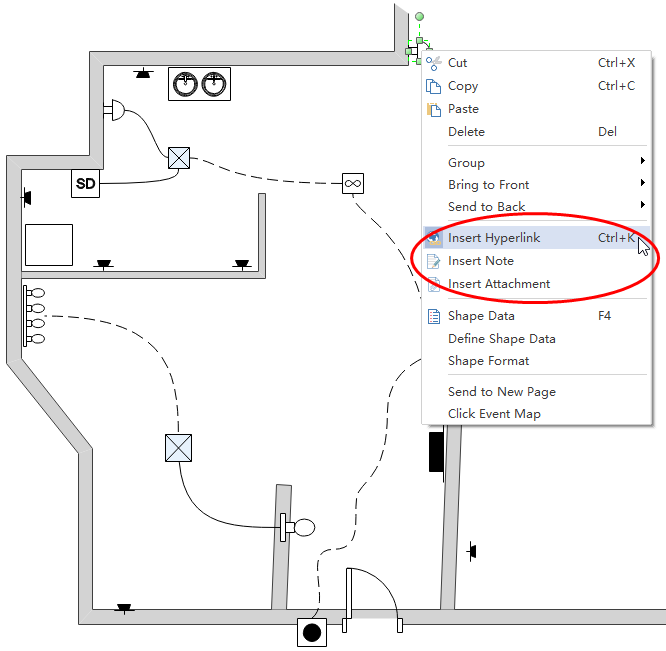 Run Floor Plan Maker and open a blank drawing page. Step 2. Set the drawing scale on the Floor Plan menu. Step 3. 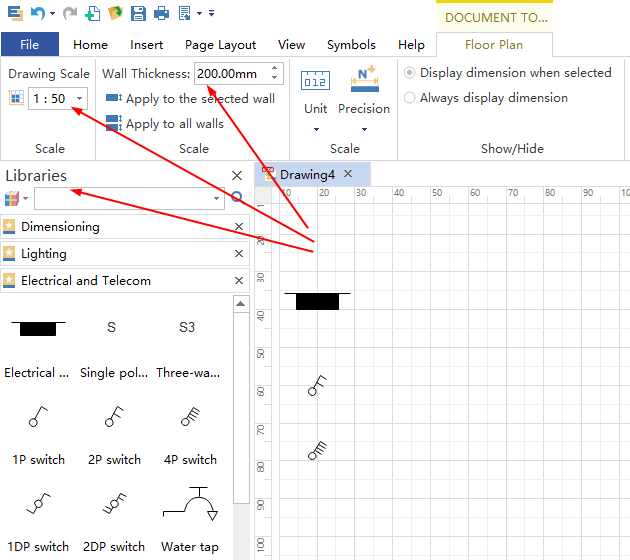 Drag floor plan symbols from the left libraries and drop them on the drawing page. Step 4. Edit and rotate house electrical shapes if necessary. Step 5. 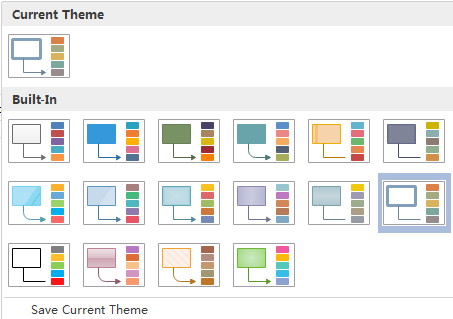 Click Page Layout and change the theme from built-in themes if you do not like the current one. Step 6. Browse your computer and find a location to save your house electrical plan. Here is an example of house electrical plan. 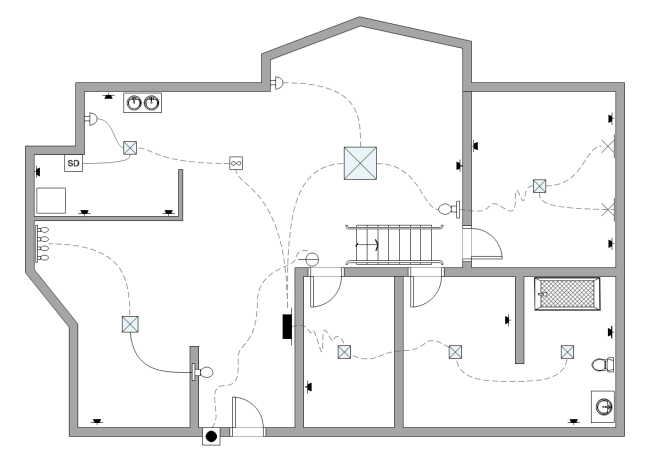 Edraw Floor Plan Maker is a professional for creating house electrical plan with following handy features. 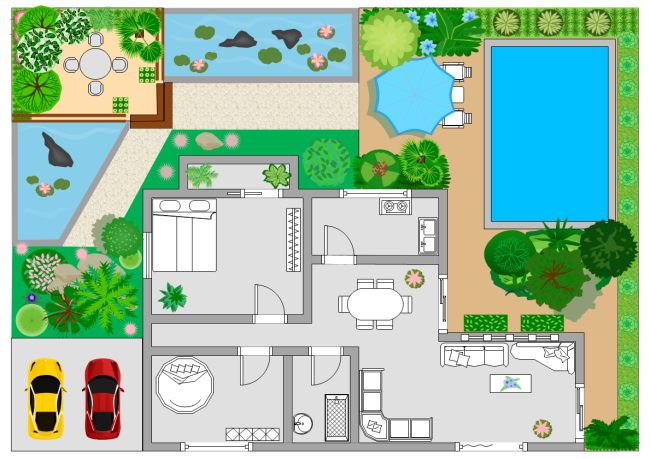 It contains abundant professionally designed floor plan templates and examples. All of them are editable, just choose the one you like and make appropriate changes to fit your own plan. It supports to insert hyperlinks, attachments and notes, which make floor plan more professional and attractive. Its professional functions enable engineers to design more precisely and visually. Dragging and dropping standard symbols make drawing smarter and more convenient. 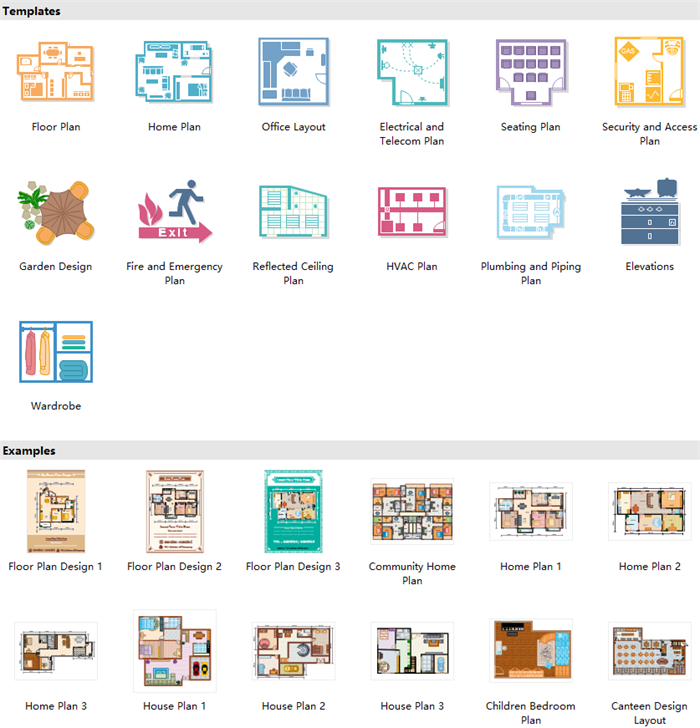 Apart from house electrical plan, you can also use Floor Plan Maker to create Home Plan, Office Layout, Seating Plan, Garden Plan, Fire Emergency Layout, HVAC Plan,etc. 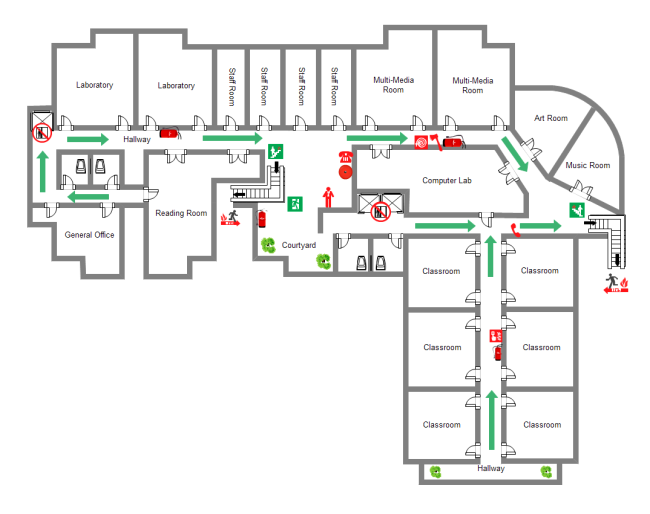 Click floor plan examples to view more examples if any interest.